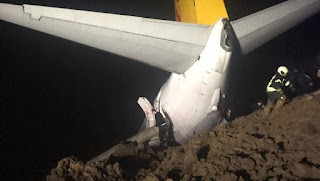 162 passengers were saved from death after a Pegasus plane luckily escaped plunging into the black sea after crashing. 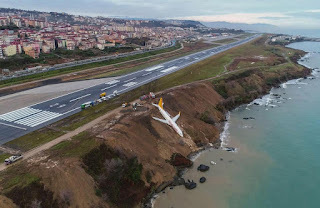 A fully-booked passenger plane came within yards of plunging into the Black Sea when it skidded off an icy runway while trying to land, The Sun UK reported. 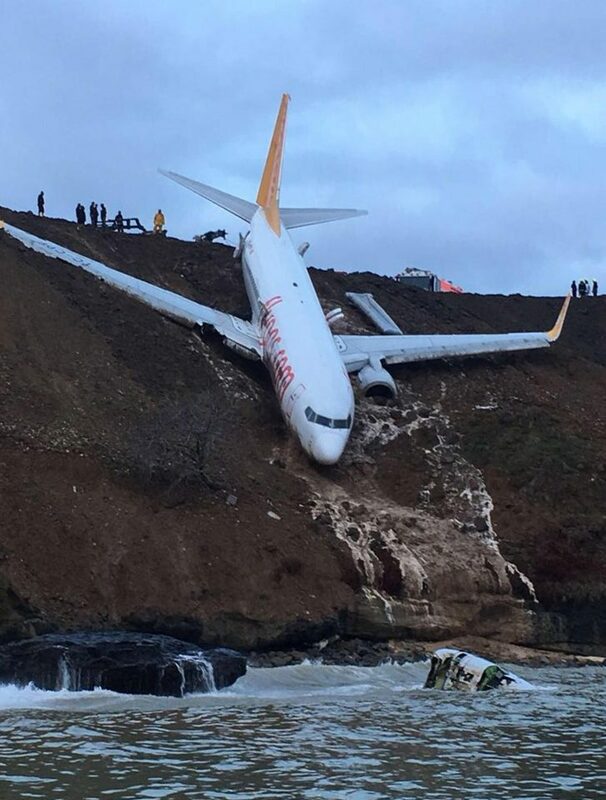 Luckily, the jet's 162 passengers escaped when the wheels of their Pegasus Airlines flight dug into the freezing mud at Trabzon Airport - leaving it dangling precariously off a coastal cliff. Turkish officials said the cause of the accident was not yet known, and closed the airport overnight to conduct an investigation. Dramatic photos appear to show smoke billowing from the cabin - but Trabzon Governer Yucel Yavuz said all 162 passengers and crew on board were evacuated safely. 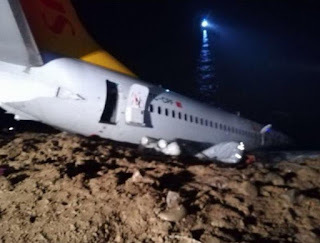 Another snaps shows the plane - which left Turkish capital Ankara on Saturday night - stuck firmly in the mud as a solitary lighthouse illuminates the chilly water.